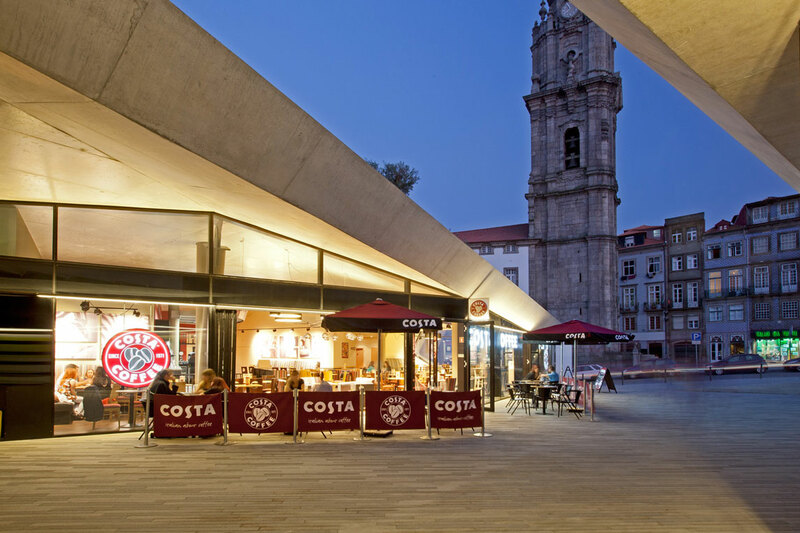 A modern mall development in the heart of Porto between two world heritage sites. 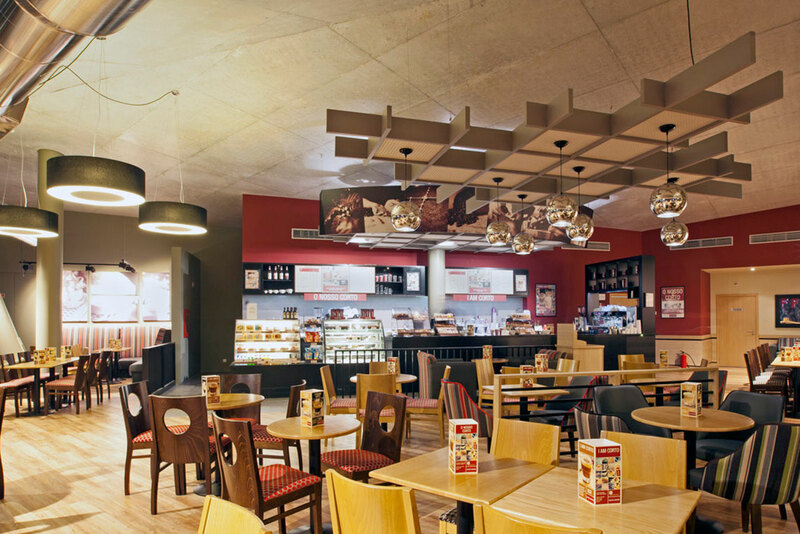 Bar and Coffee shop designers Stanza Design were appointed to implement the well known Costa Coffee brand and design. A very large unit, 120 covers, is designed to appeal to both international tourists and the local population who work in the near by commercial area. 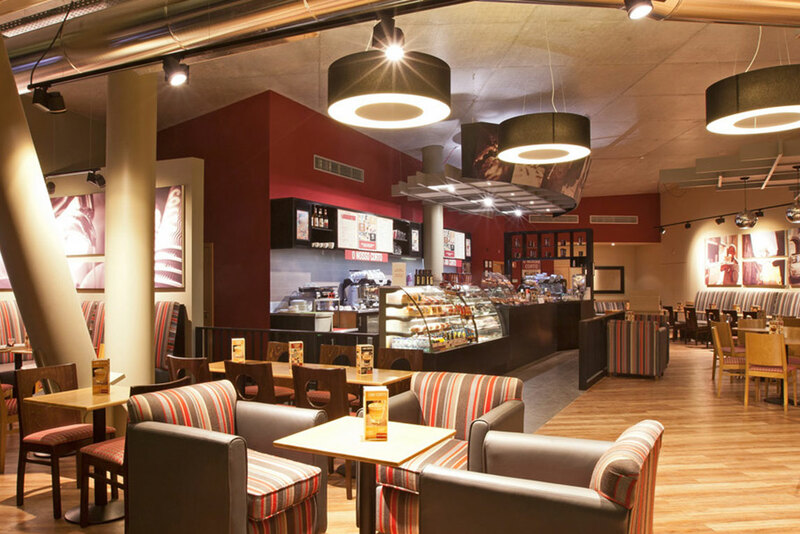 This exciting new addition to the Costa Franchise in Portugal is now opening and trading very successfully.